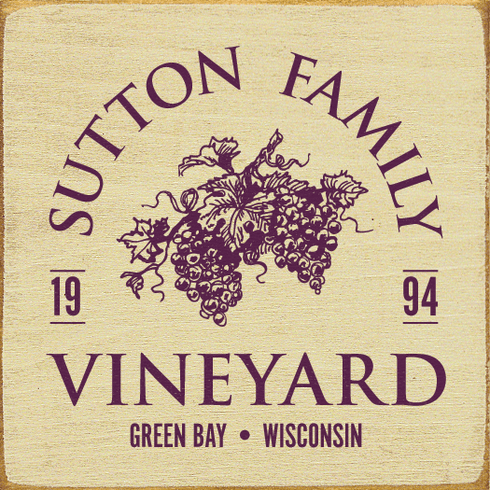 Food & Drink Sign...Custom Family Name Vineyard - Custom Date - City, State. Made from solid knotty pine. Routed slot in back for hanging plus flat edges for optional shelf-sitting.